NEW YORK--(BUSINESS WIRE)--Whisker Labs, developer of advanced home intelligence technologies, today announced that it has been named a CES 2018 Innovation Awards Honoree for its Home Energy Monitoring Sensor. Products entered in this prestigious program are judged by a preeminent panel of independent industrial designers, independent engineers and members of the trade media to honor outstanding design and engineering in cutting edge consumer electronics products across 28 product categories. Whisker Labs’ breakthrough home energy monitoring sensor and home intelligence software platform deliver real-time power usage and diagnostic information for HVACs and home appliances to provide customers with performance deterioration trends and predictive insights on imminent failures. Home service providers can offer these capabilities to consumers through Whisker Labs’ ASSURESM– a scalable residential HVAC service that increases customer satisfaction, improves brand awareness through systematic engagement, and reduces home service providers' operational costs. In selecting Whisker Labs as an award honoree, the Consumer Technology Association recognized its introduction of the first ever whole-home energy sensing device that does not require an electrician for installation. 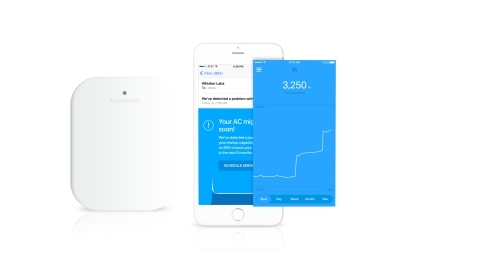 The phone-sized sensor installs quickly and safely on the electrical panel/breaker box that connects to the consumer’s wifi, so that data can be turned into information and alerts on HVAC and subsequently, all major home appliances. The prestigious CES Innovation Awards are sponsored by the Consumer Technology Association (CTA)TM, the owner and producer of CES 2018, the global gathering place for all who thrive on the business of consumer technologies, and have been recognizing achievements in product design and engineering since 1976. Whisker Labs’ sensor and platform will be displayed at CES 2018, which runs January 9-12, 2018, in Las Vegas, Nevada. Products chosen as CES Innovation Honorees reflect innovative design and engineering in some of the most cutting edge tech products and services coming to market. CES 2018 Innovation Honoree products are featured on CES.tech/Innovation, which lists product categories, as well as each product name, manufacturer information, description, photo and URL. Whisker Labs will be showcasing the Home Energy Monitoring Sensor at CES 2018 at The Venetian/Sands Expo, Zeno #4601. 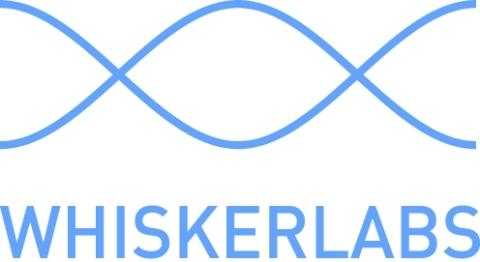 For more information, visit https://www.whiskerlabs.com/. Whisker Labs develops advanced home intelligence technologies. Our sensing and software platform taps the electrical network of the home to connect all appliances, even the unconnected ones such as HVACs and water heaters. We monitor home and appliance efficiency in real-time, alerting homeowners to energy waste and impending appliance failure for critical appliances, saving homeowners money and affording them peace of mind. Additional platform services include energy optimization of connected thermostats and devices. Customers include home platform, home services and energy providers. Visit www.whiskerlabs.com for more information. Home Sensor Service recognized for innovative ability to monitor home appliance health and performance by measuring and analyzing energy usage.